Refinishing is the best alternative to replacement for your porcelain bathtubs, ceramic tile, kitchen countertops and fiberglass showers. We can change colors making refinishing a great redecorating value. 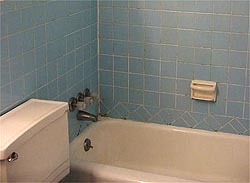 Bathtub refinishing can add up years to the useful life of porcelain and fiberglass bathtubs. We service residential homes and commercial properties (industrial buildings, apartments, hotels, condos, etc.) in New Jersey. 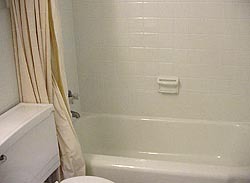 Garden State Bath Systems, Inc.